Experience the highest level of hospitality. Perfectly balanced menus, finely prepared and plated with attention to detail, served with warmth and care: the restaurant at the "Romantik Hotel" Gersberg Alm looks forward to spoiling you with delicious cuisine at the foot of Salzburg's Gaisberg mountain. Our two cosy dining rooms invite you to sit back and enjoy yourself in a unique atmosphere with rustic wood, fine fabrics and special details. This is the perfect setting for your culinary adventure surrounded by green nature. With specially chosen local products, our kitchen team - along with head chef Willy Oberreiter - prepare dishes that interpret Salzburg's traditional hospitality on a high level. Can we interest you in a hot creamy soup, traditional Tafelspitz, fresh fish from local waters or a deliciously sweet dessert? No matter what you choose, our kitchen team are always attentive and ready to fulfil your every culinary wish. The restaurant at the "Romantik Hotel" Gersberg Alm is open all year – no matter if you are a hotel guest or just stopping by to eat. From a fresh, healthy breakfast featuring fresh food and local specialities, to our regal dinner, you can eat well from sun-up to sun-down. 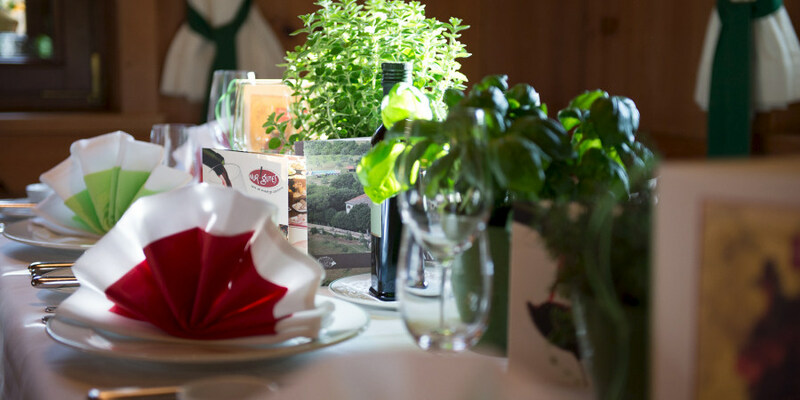 Warm Salzburg hospitality and careful dedication to the highest quality are a given in our restaurant. Our special ingredient? Our charming and attentive service staff! How about a shady spot on our terrace? Find a comfy place outside under an umbrella and listen to the splashing fountain in the background: the Gersberg Alm's terrace is an oasis of peace, quiet and well-being. Hikers who stop by for a snack, mothers who chat over a cup of coffee while their little ones amuse themselves in the playground, or business people entertaining customers: all visitors to the Gersberg Alm will find a little slice of heaven. And you will always see one thing out of the corner of your eye: the breath-taking views of Salzburg. 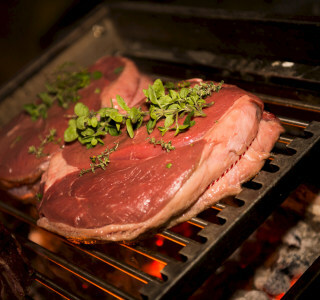 We kindly ask you to book a table for lunch or dinner to ensure that you won't need to wait to be spoiled. We look forward to your visit!